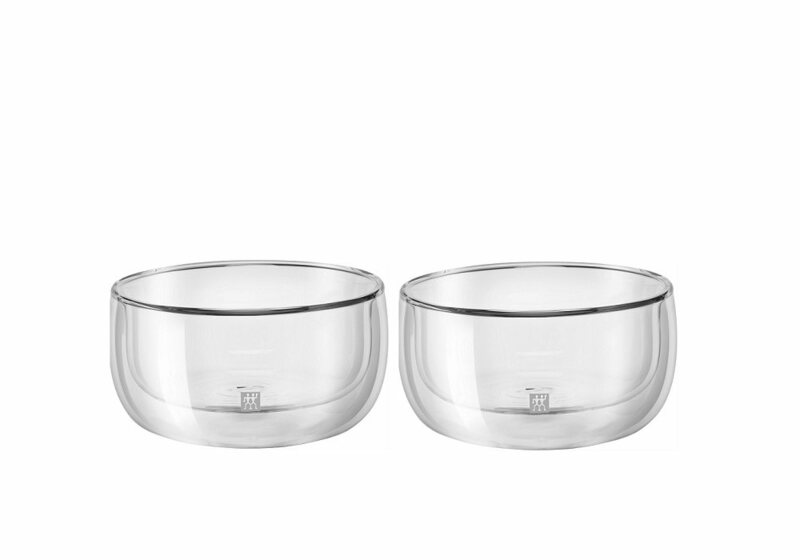 This set consists of two borosilicate double walled dessert bowls each. This material is insensitive to temperature fluctuations and is therefore ideal for both hot and cold drinks and is light yet strong. Each glass has perfect functionality, keeping hot drinks hot and cold items cold.